Porsche and Audi are competing to become a hub for EVs. Porsche is developing a production version of the Mission E concept, shown, while Audi is working on its own EV. FRANKFURT -- Volkswagen Group's Audi and Porsche brands will join forces on vehicle development, the two upmarket brands said on Wednesday. The move will help VW Group to save money in the wake of its costly emissions test cheating scandal. The pact comes as VW Group CEO Matthias Mueller, who previously worked as Porsche's CEO and Audi's head of product management, finalizes a plan to step up development of autonomous cars, electric vehicles and digital services. Projects will be jointly headed by representatives from each brand. In the coming months, joint teams will prepare the specific areas of cooperation and define a road map to 2025, they said in a statement. Porsche has emerged as a strong rival engineering center to Audi since VW Group bought the brand in 2012. 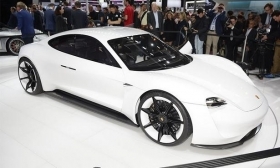 Porsche's MSB platform, used for its Panamera sedan, has been adopted for VW Group's next generation Bentley Continental model even though Audi had developed a similar offering. Since the group's emissions test cheating on diesel engines was exposed in September 2015, Audi has lost two research and development chiefs and the head of its automotive electronics division, who did pioneering work in the area of autonomous driving and battery technology. Audi remains the group's center of excellence for SUVs, a lucrative and growing market, where it supplies platforms to Porsche and other brands such as Bentley. With self-driving vehicles likely to play a major future role in the industry, Audi also develops autonomous cars for the group. But a separate internal race has begun to become an engineering hub for electric vehicles, a field which includes research and development of battery cells, battery packs and electric motors. 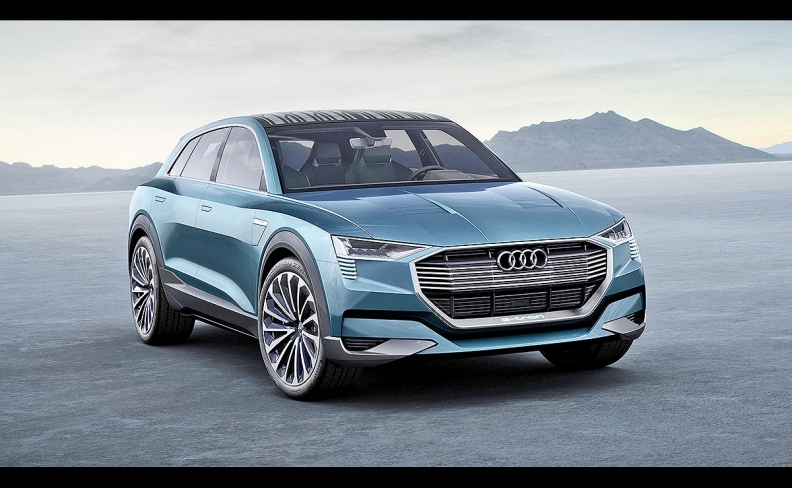 Porsche has developed the J1 electric cars platform demonstrated in the Mission-E, while Audi has also worked on its own electric car to challenge Tesla's Model X.
Audi is developing a Tesla fighter previewed by the e-tron quattro concept, shown. Porsche has also taken over production of eight-cylinder gasoline engines for large sports cars for the VW Group, even though Audi has its own engine factory in Hungary.